Off of Overland drive in Fort Collins, Colorado down a wooded dirt road, you will find a hidden gem in the Northern Colorado farm and ranch community. 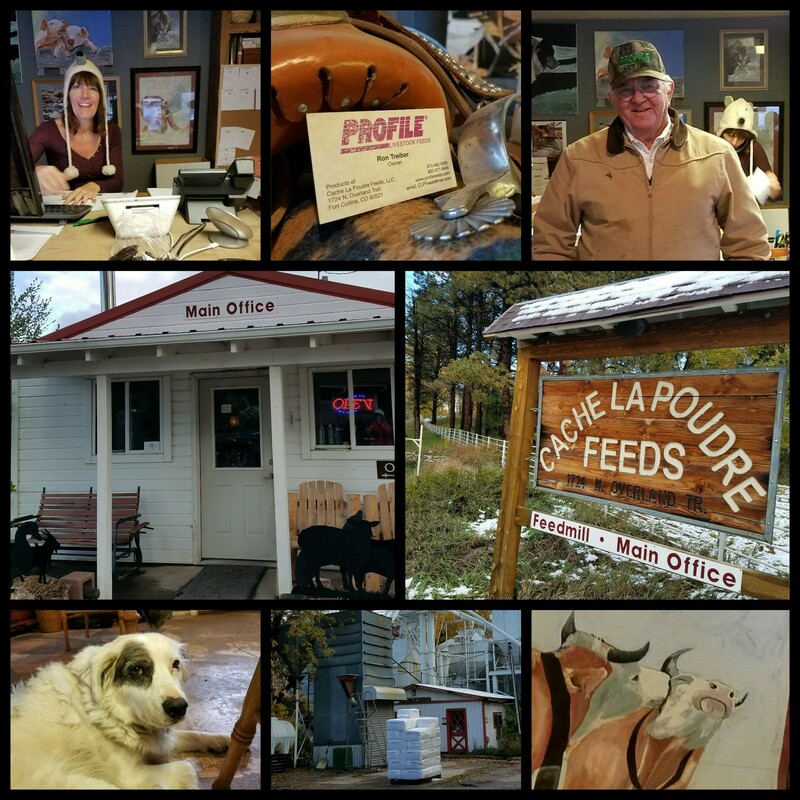 Cache La Poudre feeds has been an unconventional, family owned feed manufacturer since 1982. 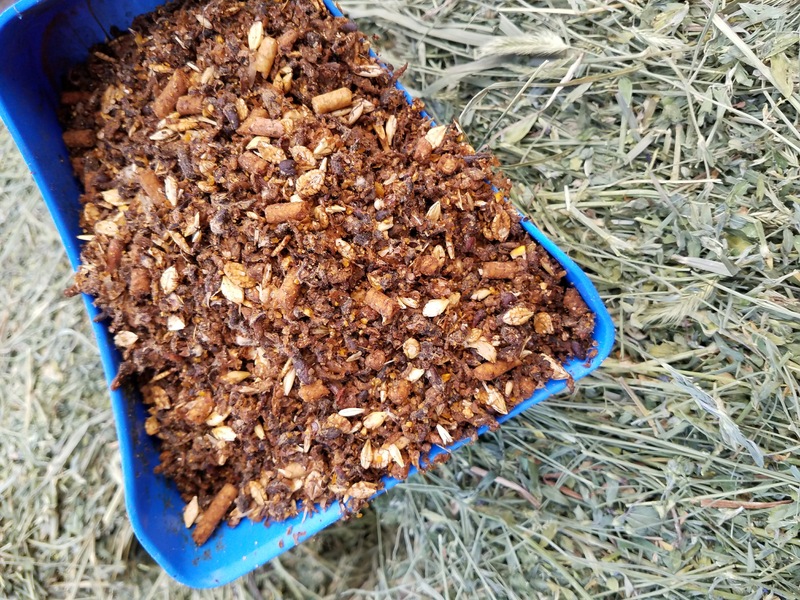 Charis Youth Ranch has been purchasing Cache La Poudre’s Profile® Feeds Equine Senior for many years now with excellent results, so we decided to go in depth and share what we love so much about this local treasure. Walking into their store is like walking into the home of a dear friend. Enter through the quaint porch into the cozy warmth of the main office and you will be greeted by Sherri’s friendly “hello”. Sherri has been working in the family business since 1999. She is the voice you most often hear on the phone. Friendly, kind, unfailingly real, Sherri makes you want to come back soon just to chat. She takes great pride in the high quality and consistency of feed that they provide their customers. Often if you come by on a frosty morning you will find her dad, Ron Treiber, sitting comfortable with a hot cup of coffee browsing the paper. Ron is the owner, he and his late wife Kaaren started the family business as a retail feed store, then moved into manufacturing in 1984. Naturally the business expanded to include wholesale as well as retail customers. Kaaren passed in 1998 and Ron has since remairried to his current wife Kathy, and they live onsite. Their primary service focus is on local and regional customers, and we can testify to the deep caring and personal interest that they take in you and your livestock. “We have always strived to be personable, we know our customers, our customers know us. Being able to tailor our products to fit customers needs is one thing that sets us apart from other feed stores.” says Ron. Sherri elaborates that they are able to tailor specific feed formulas to their customers individual needs when customers buy in bulk. Her favorite thing is working with people that are nice, the relationships that are built and the connections that are made. Knowing the benefit that their feed is providing for animals and hearing about the positive results gives her the greatest satisfaction in her work. Also we learned, she loves driving the forklift! One other employee, Kurt Brewster, has been working with them since 1999. Kurt hails from a well known ranching family out of Bellview, and uses his talents as a feedmixer. Cache La Poudre manufactors all types of general purpose feeds including formulas for equine, cattle, sheep, and swine. Their Profile® line of feeds have been producing amazing results for their customers for the last 20 years. They have the trademark and are the exclusive producers. Since its formation in 1997, Profile® Feeds Equine has been consistently favored by customers and is still one of their best selling lines 20 years later! 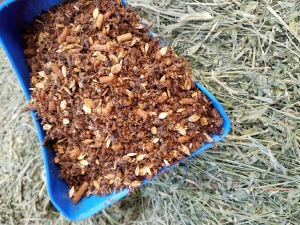 Our horses are crazy about their Profile® Feeds Equine Senior. We notice a big difference in body condition, energy, coat health, hoof health, and overall appearance when we keep them on their senior. The rich smell that rises when you open the grain bin is inviting, and we take great satisfaction in feeding a high quality, nutritious and tasty feed to our herd!! Also a little trivia note, their trademarked Profile name comes from the “profile” a judge is looking for when he awards blue ribbons! With such quality, its no wonder they have loyal customers. One family has been purchasing their feeds for 5 generations. We have a soft spot in our hearts for Sherri, Ron, Kurt, and consider them part of our Charis Youth Ranch family. We are so thankful for our supporters, we hope it is comforting to know that your donations are making their way back into our local community through our partnership with wonderful places like Cache La Poudre Feeds. If you have never tried their feeds we obviously recommend them highly. You can visit their website www.profilefeeds.com to learn more or simply drive on over to the store at 1724 North Overland Trail, Fort Collins, CO. They are open Monday through Friday 8am-5pm and Saturdays 9am-12pm. Thank you for reading, and a very special thank you comes from Randy, Rajah, Babe, and Roper who are seniors living the good life on such good feed. 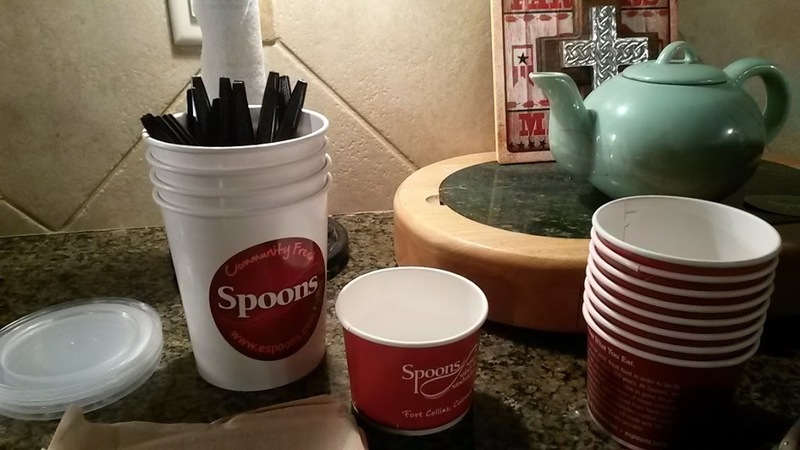 Thank you to our wonderful sponsors Mary Mountain Cookies and Spoons for the delicious cookie and soup donations for our volunteer appreciation dinner. We are so grateful that these companies support local non-profits like ours. Our volunteers work tirelessly to keep the Ranch operating and our horses fed throughout the winter months, we love and appreciate each and everyone one of them! Update 6/30 9:30 pm : We called the vet out tonight, Gaspodes entire right hock was swollen twice its normal size. The vets verdict is he needs CSU tomorrow. We hit him with a ton more drugs and are working to keep him comfortable and still through the night. 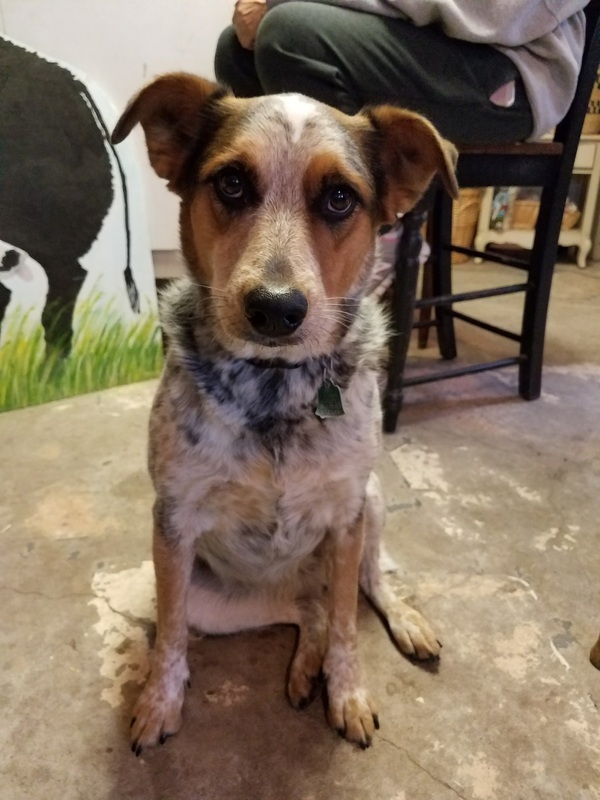 We need help with his vet bills for tomorrow!! Yesterday marked the end of the 3rd week with our kiddos in residential treatment. A group of teenagers aged 13-19 come out wearing their heart battle scars on their sleeves twice a week. We love them so much and each time we see them, we smile, encourage, love and joke around with them as we work on the ranch together and they learn about our horses’ stories and see the similarities in their life wounds to the horses’. The kids are very protective of their hearts and they do not hand over their trust or open themselves to just anybody. In fact, very few people in their young lives get to see who they really are. Their battle armour of detachment, no eye contact and stern expression keeps them safe. It takes time for them to see that you really mean it. If you tell them you love them, it is just words until you prove it. So in the 3rd week of hearing our words of encouragement, seeing our smiles and sometimes receiving our hugs or a touch on the shoulder, their little heart flowers begin to open ever so gently, quietly and cautiously. There is one young man who catches my heart in particular this day. There isn’t much we know about his story except that he doesn’t have many loved ones in his life. He does not look anyone in the eye and he works hard, trying to prove he is worthy. Yesterday, I called him by name, looked him in the eye and said “I like you” and smiled at him. As I waited patiently for him to return my gaze, he cautiously raised his eyes to mine. As our gazes met, he saw my sincerity. For the first time since his arrival, his eyes crinkled up in happy little sparkly half moons in realization that I meant what I said-I really did like him. And for the first time in 3 weeks, I saw hope in his eyes. For that one moment, he opened the windows to his soul and I got to deposit a little God treasure in his heart. Not by my doing, because God gave me the love. I just pass it on. And he deposited a treasure in my heart too. I am looking forward to what God has in store for our kiddos, horses and us. It is going to be a great summer! That was one word written on the side of a horse. Worthless, unloved, broken, afraid, fat, and stupid were a few others. 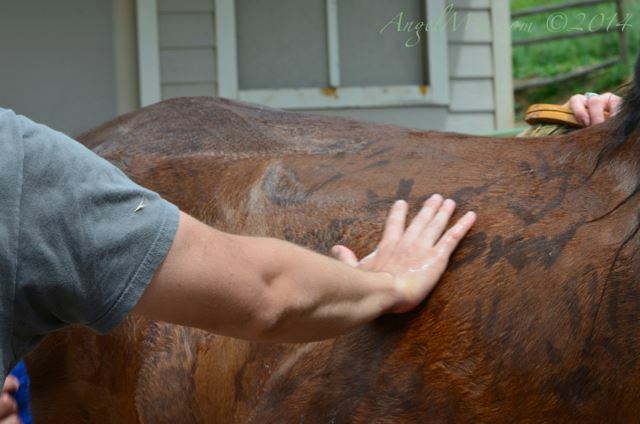 Our horses became living canvas today on the ranch. 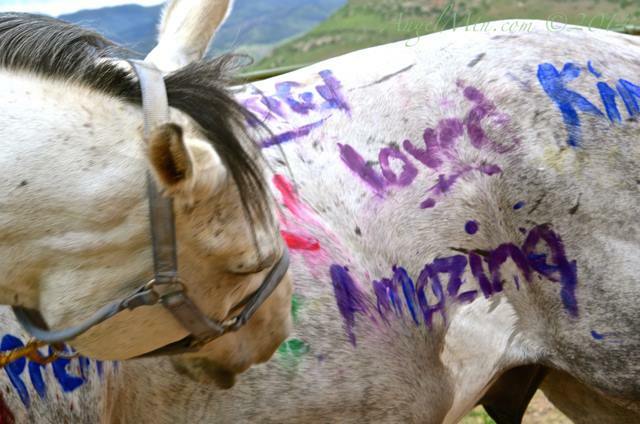 We painted them with the labels our rescued horses came to us with, and the teens we work with from a residential treatment facility added words that they have been labeled with. It broke my heart as one painstakingly wrote with their fingers in paint: lost. Wow, what a stark word, what a visual. The thing about labels, and canvas, and lives, is that they can be changed. So we washed the horses, we scrubbed the labels off of their sides and necks. Then we wrote the truth. We canceled out the lies by writing the truth: Loved, beautiful, peaceful, healed, hope, found. Grace is this thing that we don’t fully understand, but once you experience it, you are changed. The thing about grace is that it’s free, and its for everyone. There is no one so lost that God’s grace can not find them, today, on the ranch, I think we were found. A boy rests his arm over the back of an anxious old horse. 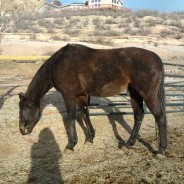 Roper is our oldest gelding. He is not one to trust quickly, he is partially blind and it makes him jumpy, he is scared. He and this boy seemed to understand each other. 10 kids came to our ranch from a local residential treatment facility. For 5 weeks on Wednesdays and Fridays they will come and spend their mornings with us. I am forever changed by moments like this; the quiet hand of a kid resting on the back of a horse, each drawing strength from the other. It seems insignificant, but for this kid and this horse; it means everything. You know that horse that is the “schoolmaster”? 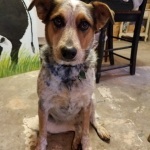 The one that patiently trotted you around while you posted the crap out of his back on the wrong diagonal. The one that was pretty much on autopilot while you just tried to keep up, he counted his own strides, he followed the pattern when you forgot, he carefully adjusted his speed to your ability. God gives us the schoolmaster to teach us. 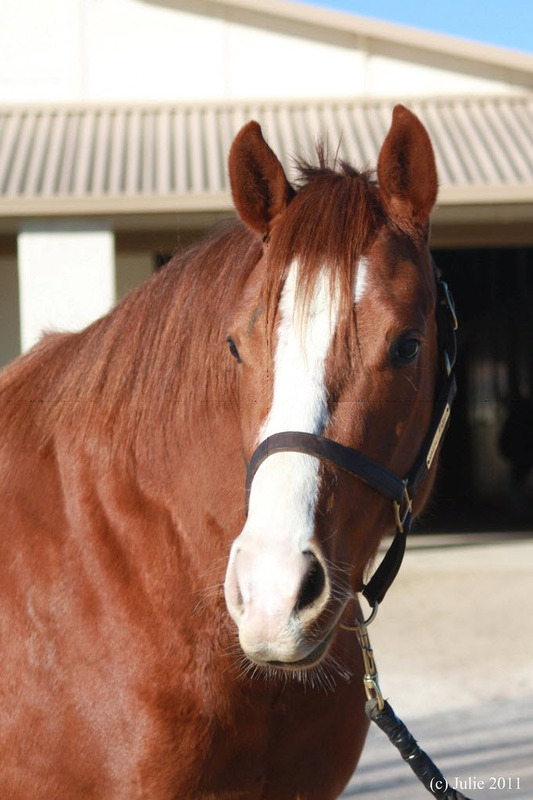 Rajah is our schoolmaster at the ranch. He is an OTTB in his 20s. He has so much to teach, and Sunday as I climbed up (none to gracefully, it’s been a long winter) into the saddle and let my muscles remember how to hold me he assumed that familiar patient expression. In a rope halter and with a leadrope as my single rein he did not bat an eye, he listened, shifted speed and took great care with me. I am so grateful for the schoolmaster. I hope you think of your greatest equine teacher today and give thanks with me for all the lessons learned, and all that are yet to be. Sunday we had two kids out for their first session at the ranch. They got connected to us through the Mathews House. They helped us clean up the horses pen, and then learned about how to catch and lead a horse. It was awesome to watch their little faces light up as sweet Molly followed them all around cones and chairs. I watched their initial fear turn to confidence, and the little 7 year old who didn’t want to hold the lead rope at the beginning of the session backed Molly straight through one of the obstacles like a seasoned pro at the end. 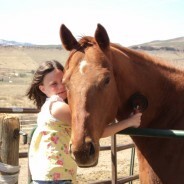 Its amazing what hope and healing can be gained through such simple interaction with horses. We are truly blessed to be a part of it. More and more I am humbled that God lets us be a part of His plan for this ranch. Today we met with a mom and 2 kids. She wants her son to have horse sessions to assist in his learning delays. While I spoke with the mom and her caseworker, Annie went off with the hopping, skipping 8yo and quiet, yet intrigued 11yo to meet the horses. In talking, mom shared that their father left them 4 yrs ago with no word, and they haven’t seen nor heard from him since. They have suffered tremendous grief over it. Then a year later, their Grandmother, whom they were very close to, passed. This family has experienced so much loss in a short time. My heart broke for this hardworking mom, who clearly loves her kids so much. As they were leaving, the caseworker told us that mom said this is the first time in months that her daughter has left her side and that her son has smiled and laughed. You are right Robert Palmer, I might as well face it, I am addicted to love. 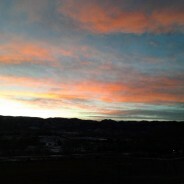 Last nights sunset on the ranch was so beautiful. Roper is doing so well, he has put on some weight and he is one of our most vocal guys We are so happy to have him and get him fit into our kids programs this summer. 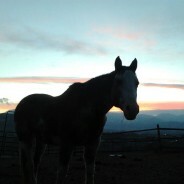 We think he will be one of the best groomed horses in Larimer County Thank you to all of our donors, we just bought hay at the hay auction on Saturday and our guys are munching with joy.